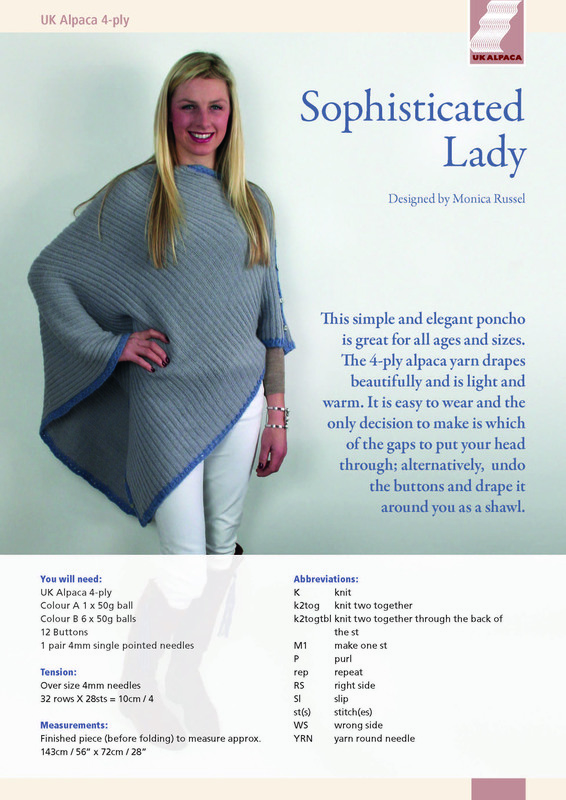 This simple and elegant poncho is great for all ages and sizes. 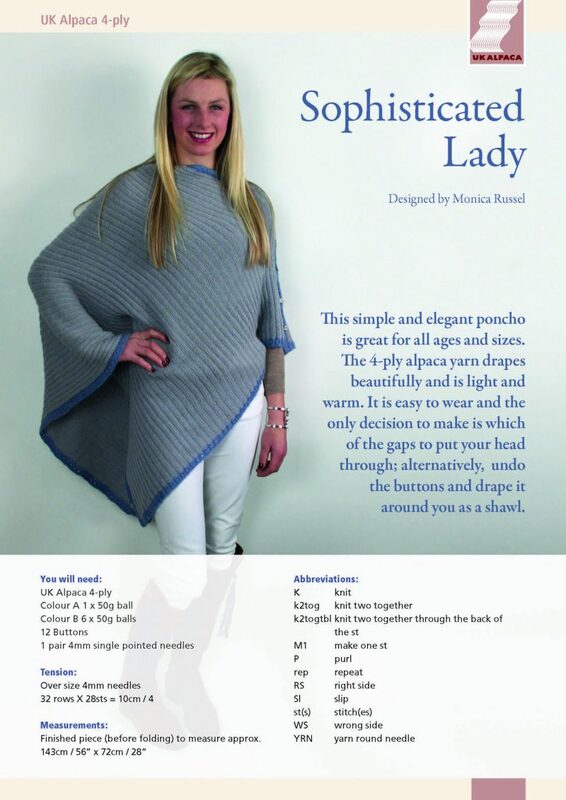 The 4ply yarn drapes beautifully and is light and warm to wear. The only decision is which opening to put your head through or undo the buttons and wear as a shawl.